and my spirit exults in God my saviour. Both Hannah and our Blessed Mother magnified the Lord their God by their prayer and their actions. Hannah by trusting and presenting her only son for service to the Lord our God. And our Blessed Mother by bringing forth salvation into the world through her son our Lord and saviour Jesus Christ. 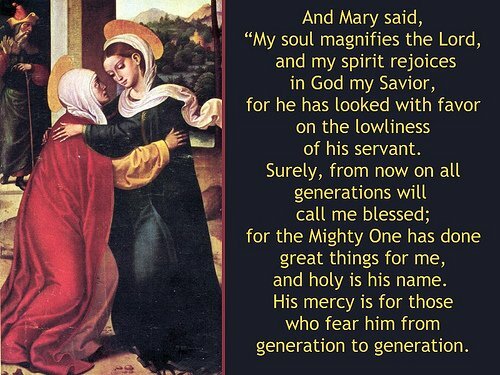 and my spirit exults in God my saviour; because he has looked upon his lowly handmaid.